year. When I heard that Svetlana, the gorgeous founder of Gressa Skin, was extending her makeup line, I was incredibly excited, and rightfully so! 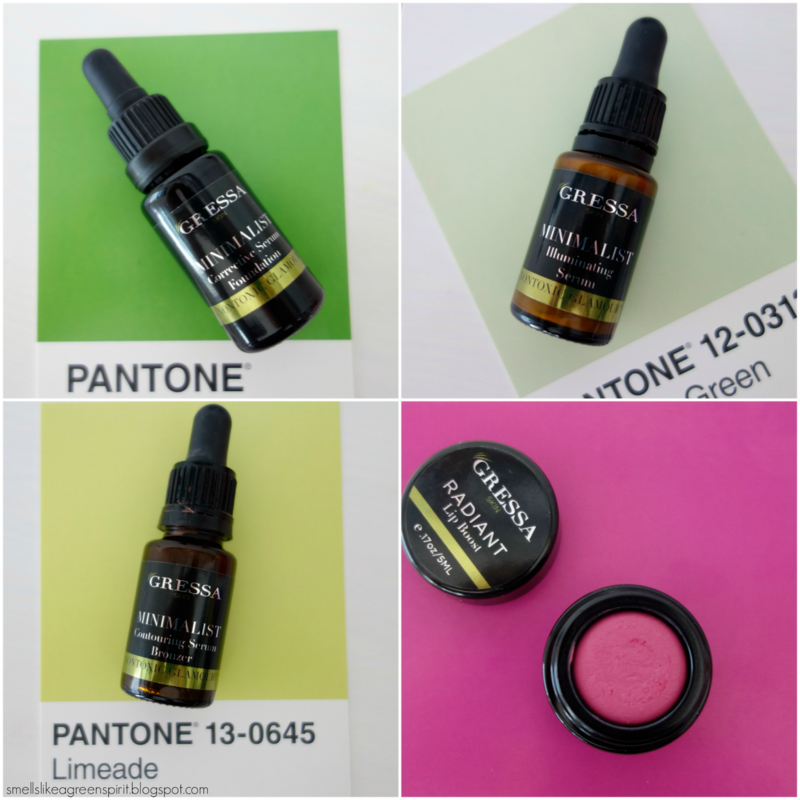 Her products have now taken the green beauty world by storm, and for me they certainly live up to the hype. recommend you to read Nath’s aka Beautycalypse post about it. – Bitter melon – said to provide glowing skin, along with being beneficial against acne. required by the body for supple and healthy skin. – Barberry – a soothing and acne-inhibiting ingredient. – Neem – helps in clearing acne, fading scars, pigmentation and blackheads. – Horsetail – purifies the skin, used for acne prone skin. – Lemon Balm – antibacterial and antiviral properties, reduces redness and itching from infections and eczema. – Elder Flower – purifiying and wound healing properties, fades skin blemishes. – Licorice root – improves skin cell regeneration, strong anti-inflammatory, regulates oil production, soothes acne-prone skin. It’s pretty impressive to find these ingredients in makeup, isn’t it? One study investigated the effectiveness of chemical compounds from licorice, known as Glabridin and Glycyrrhetinic Acid, for skin that had been damaged by UV radiation. The test subjects who used topical extracts of licorice for skin exhibited faster skin cell regeneration. Lipboost in Radiant. My second lipboost, my first being Bare. 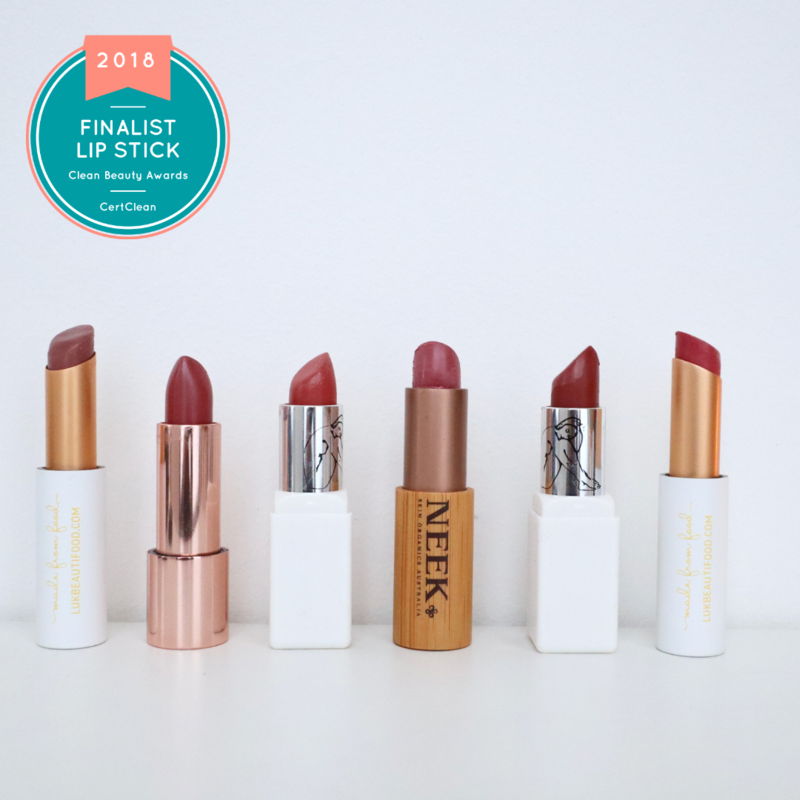 I can’t praise them enough, they are la crème de la crème in natural lip products. If you’re not familiar with Gressa’s lip boosts, they are basically nourishing all-natural pout enhancers. A smooth formula with a superb pigmentation is a winning combo to me. Radiant is a vibrant and flattering fuchsia, that will instantly perk you up. I’ve solely been using this product with Gressa’s lip brush. The lip brush in itself has become my favorite beauty tool ever, because it turns a simple makeup application into a delicate beauty ritual. It provides the precision neeeded for smudge-free and doll-like lips – I feel very sophisticated using it, I’m not going to lie ;). With the help of the brush, only one layer is enough to distribute the product evenly on the lips. The corrective serum foundation has a silky texture that morphs into powder upon application. It feels supremely light, yet provides sufficient coverage. The coverage is buildable depending on your skin concerns, however it never feels cakey. For the first time, I actually enjoy wearing foundation, and just like RMS un cover-up, Gressa’s sets nicely a few minutes following application to a dewy finish. There are currently 8 shades available, and I got the 02, which is fair-light with pink undertones. Application: Brush, makeup sponge and bare hands worked all for me, but I assume using Gressa’s buffing brush would be the easiest way. In the meantime, I use my bare hands and I apply it just like any face oils. It seamlessly blends into the skin for an even and beautiful finish. A point I wanted to address was the fact that it contains Caprylic Capric Triglycerides: when you google it, it also appears as fractionated Coconut oil. However, after a few searches, there seems to be a difference between Caprylic Capric Triglycerides and fractionated Coconut oil. I have previously mentioned that coconut oil is pore-clogging for me. (Speaking of which, I highly recommend Sarita’s enlightening post about the ups and downs of this oil, here) However, I’ve been wearing the foundation regularly, and so far it wasn’t breakout-inducing. The definition above could be a possible explanation. I’d have to report back during spring and summer, where my skin is more sensitive to see if I still react positively to it. As I said, the serum is very light, and immediately blends into the skin without feeling greasy. lines where countouring is needed and then I use my fingertips to blend. (Vitamin C), *lecithin, *glycerin, mica, iron oxides, titanium oxide. is foolproof as well. One drop and it blends effortlessly to provide a natural-looking glow. It’s not sparkly, it catches the light. I’m impressed by how well it performs at providing the utmost natural-looking glow. 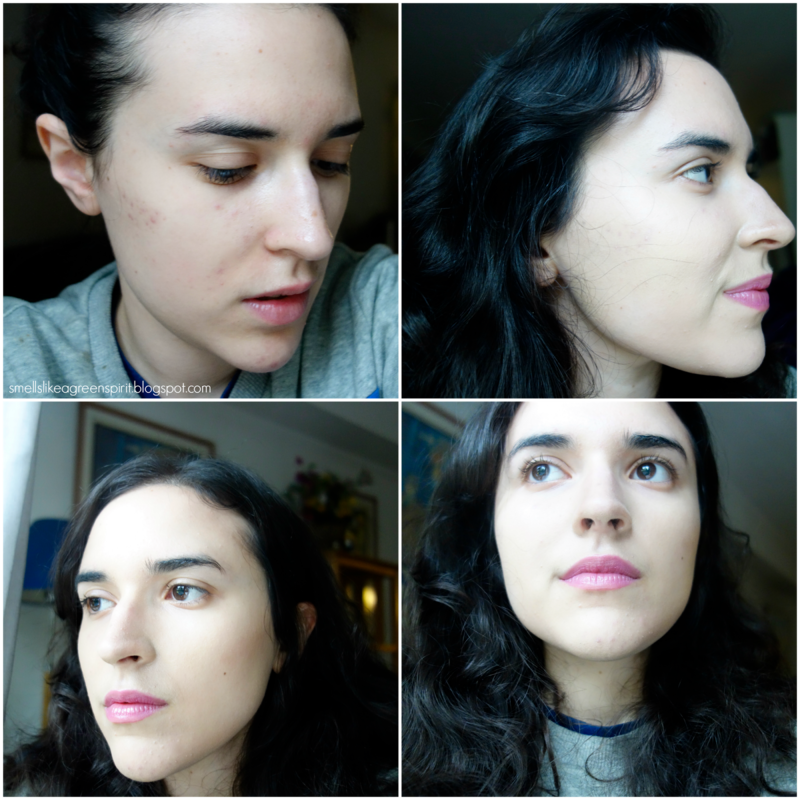 Top left, clockwise: Me bare face, after one coat of the foundation serum, with bronzer, highlighter and lip boost. than just covering your skin woes. Svetlana’s love for green beauty as well as her generosity shines through her products, because you can tell each product is crafted with utter care. If you want to look picture-perfect, without the hassle of using a multitude of products, Gressa is the solution. Minimalistic makeup at its best! 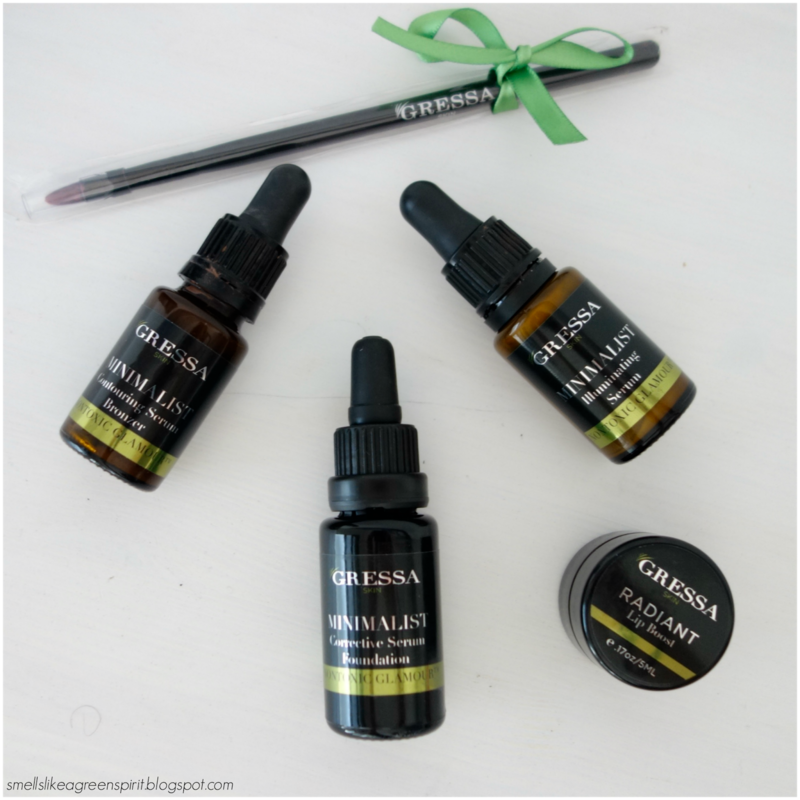 Have you tried Gressa? 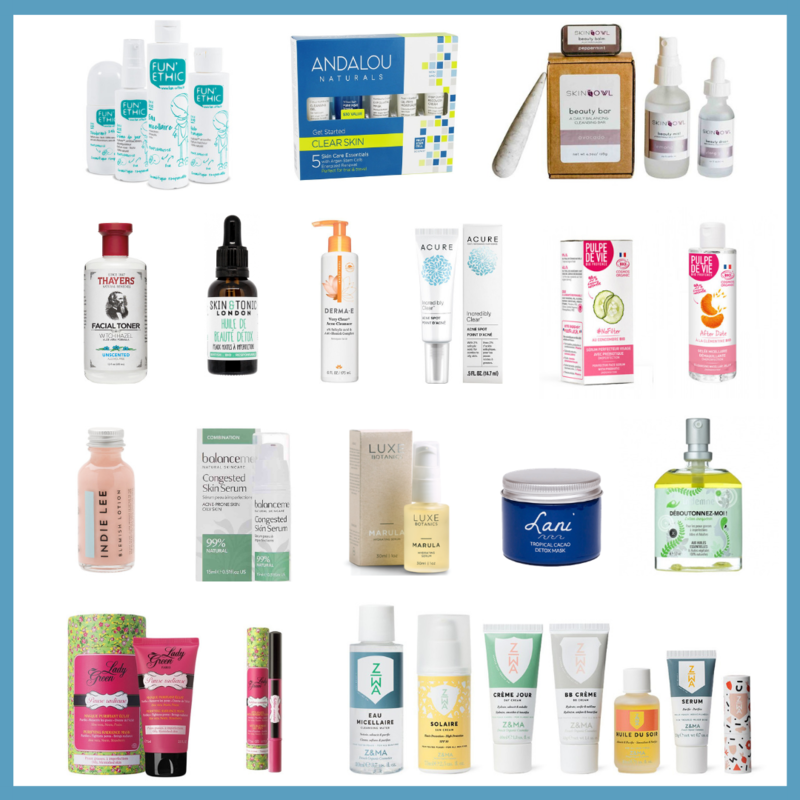 Which product would you like to try? I don't know much about this brand (shock horror!) so I enjoyed reading this review. The lip boost & serum foundation look very interesting products. This brand sounds absolutely amazing! I'd love to try out the gorgeous foundation and lip boosts. I am so so so desperate to try Gressa. The lip boosts are stunning and the foundation serum sounds amazing and right up my street! You look absolutely wonderful, Radiant is a beautiful shade! Hey Liz, thanks again for the fab review! You mentioned RMS un-coverup when reviewing the serum foundation, and I'm wondering how you feel the two products measure up performance-wise? If you had to pick a favourite which would it be? I've still got half of my jar of un-coverup and am trying not to buy any more foundations until I've used it up, but I'm so tempted by the Gressa…. !